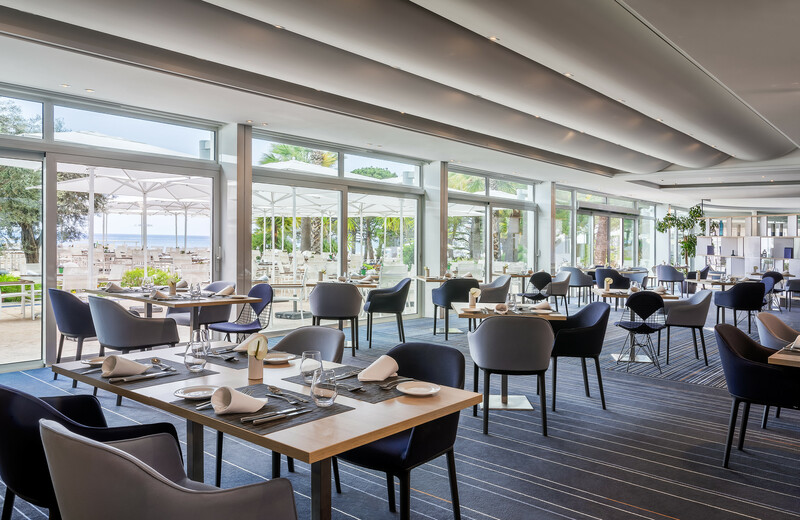 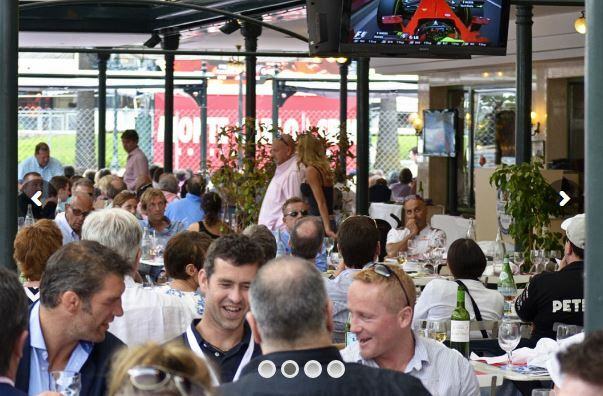 Our F1® Monaco Grand Prix Hospitality is set against a spectacular historical and architectural backdrop, the Monaco Grand Prix track has remained largely unchanged since becoming a regular fixture of the world championships in 1955. 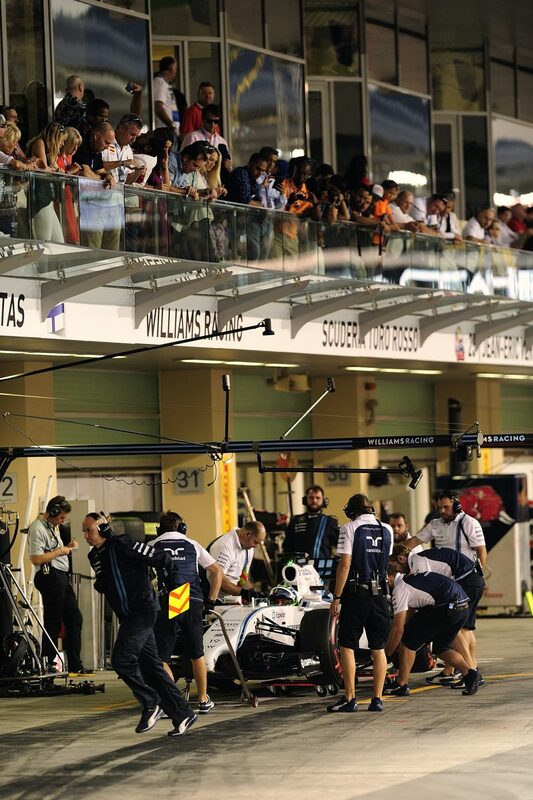 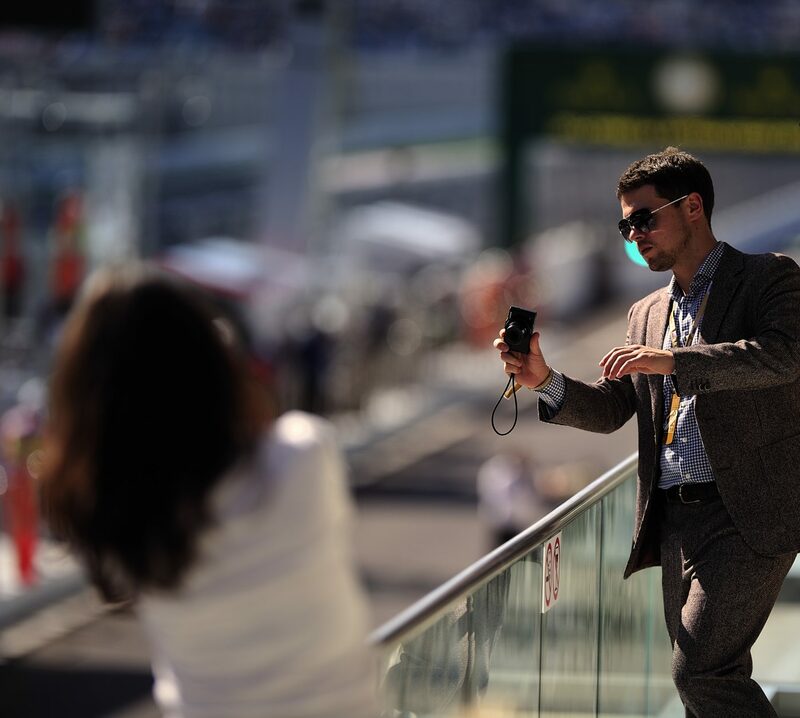 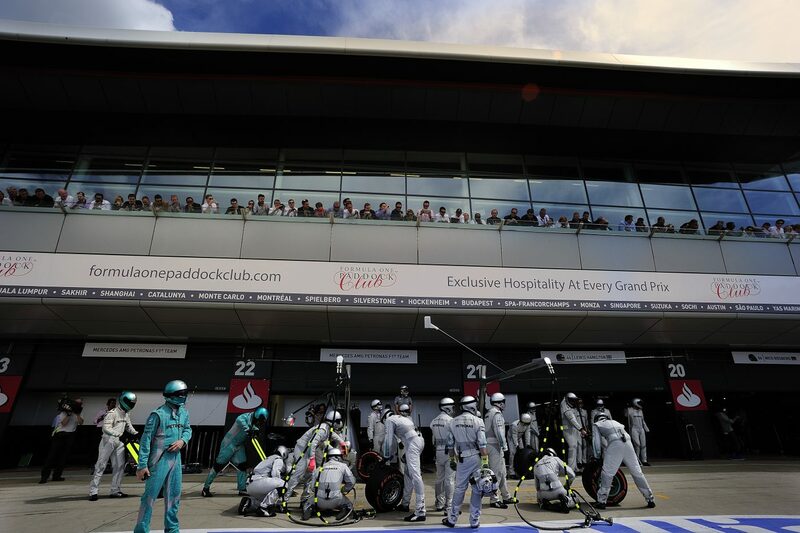 With an average of 300 days of sunshine a year, the ultra glamorous setting attracts the rich and famous in abundance to enjoy the thrill and buzz of Formula 1. 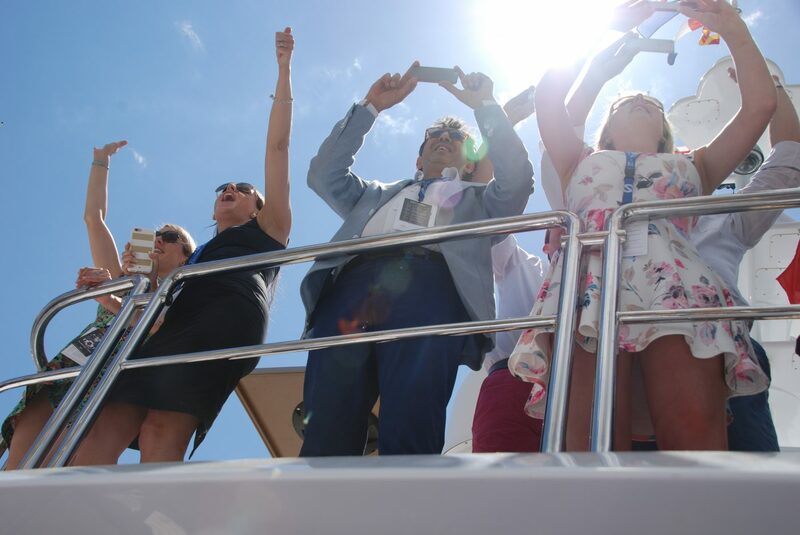 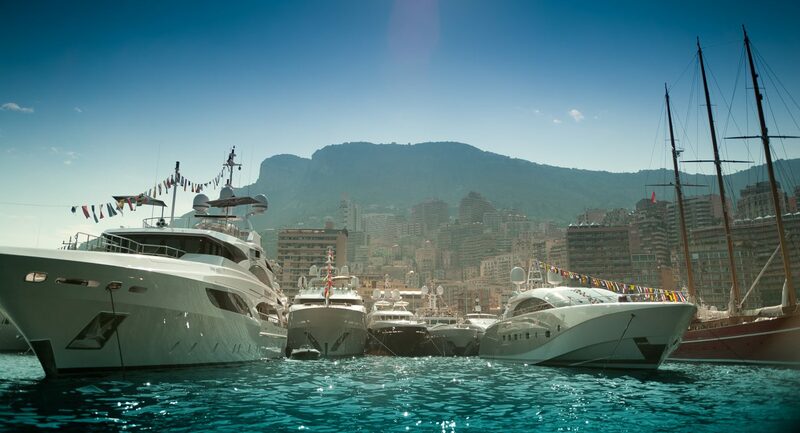 We are able to offer ‘race-day’ hospitality aboard our yacht, a Formula 1 sponsor’s yacht, offering palatial luxury and an experienced race weekend crew. 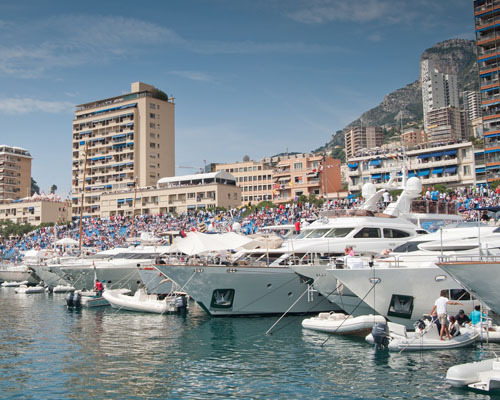 Berthed in its usual position along the Quai des Etats-Unis you will have magnificent views of the track and the giant screen TV. 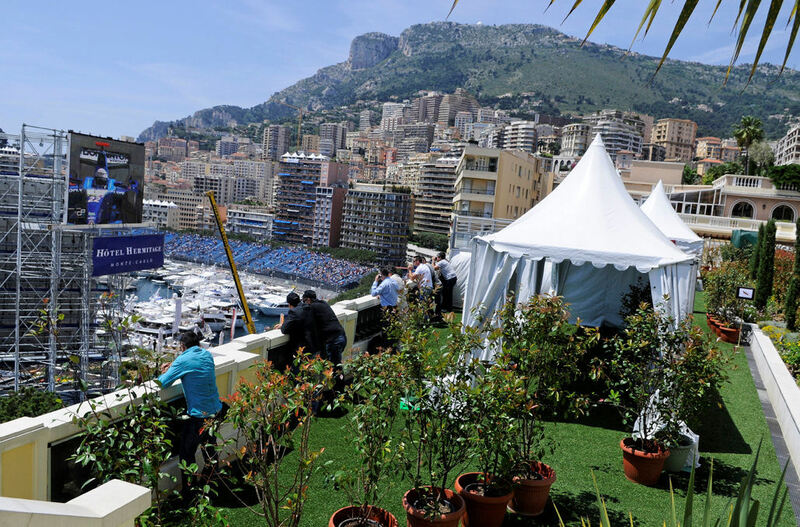 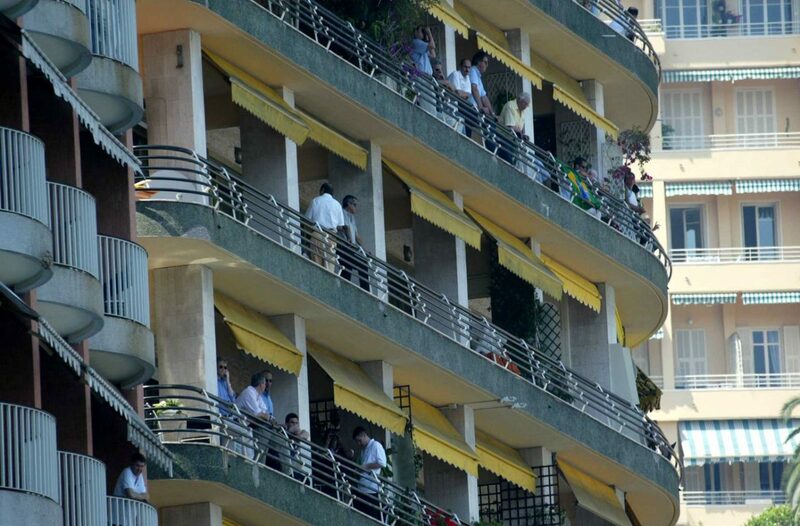 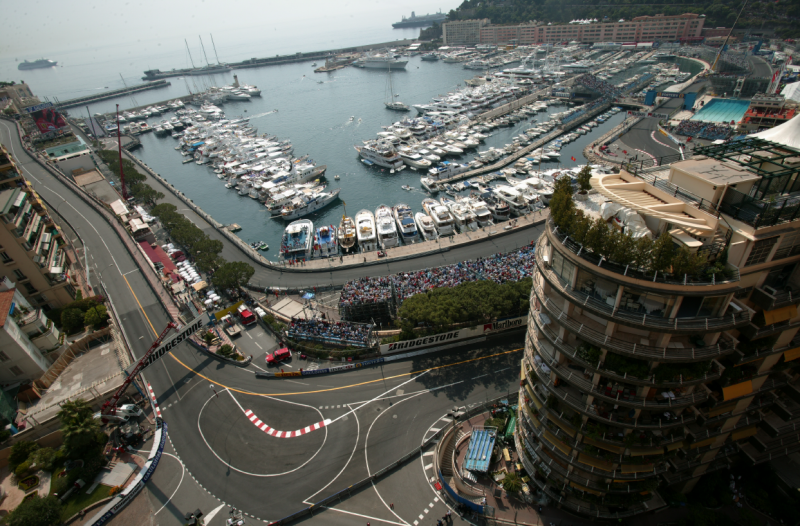 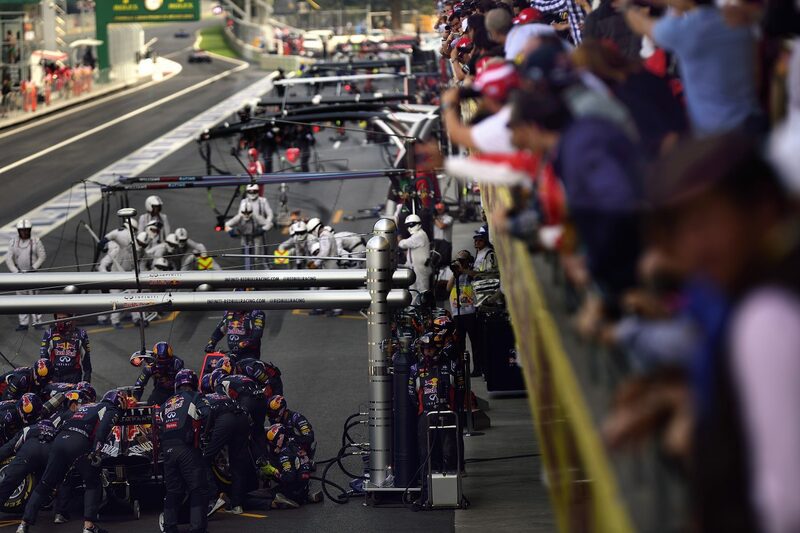 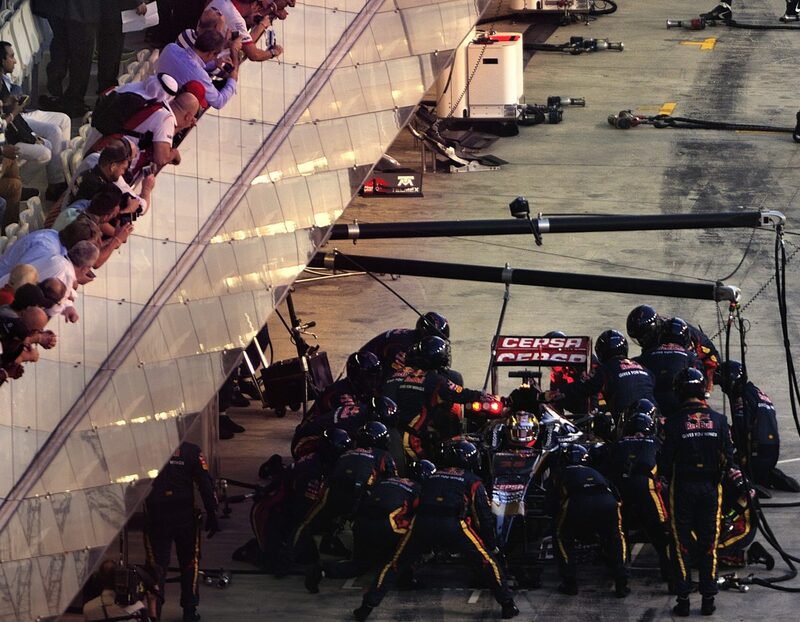 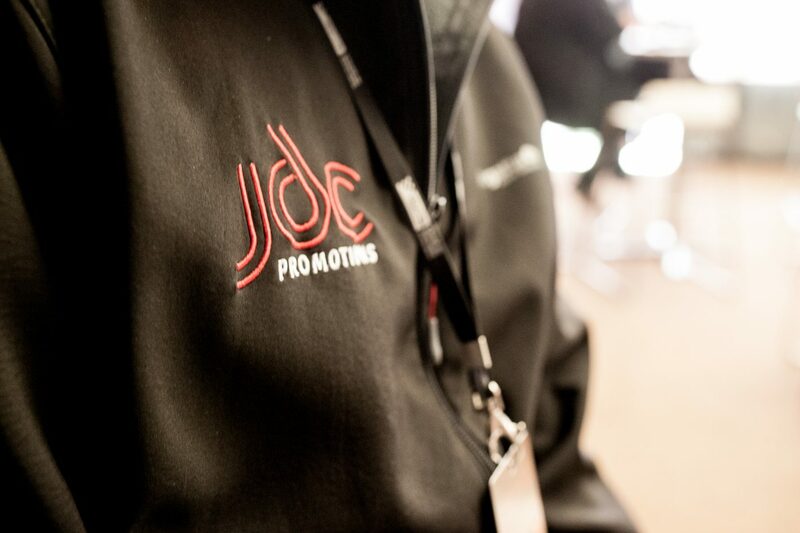 There is no better spectator and hospitality platform for the Monaco Grand Prix. 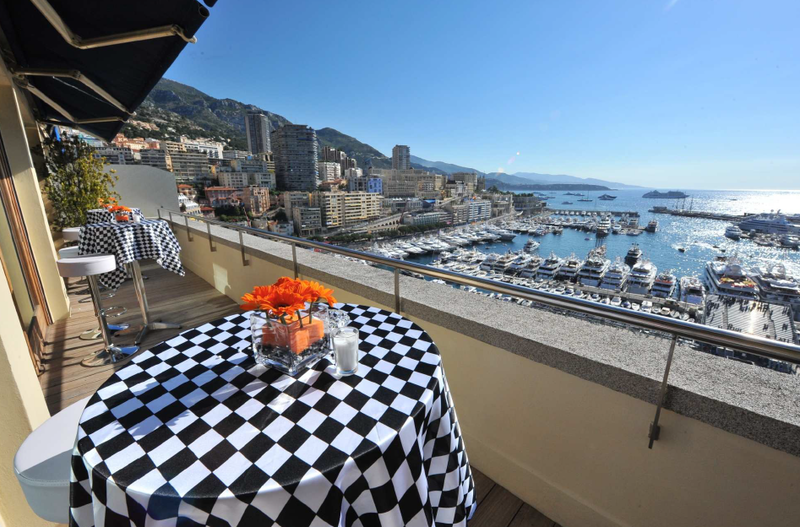 Overlooking the harbor of Monte Carlo from the hotel terraces you have spectacular views of the harbor and the cars hurtling up the hill from St Devote into Casino Square. 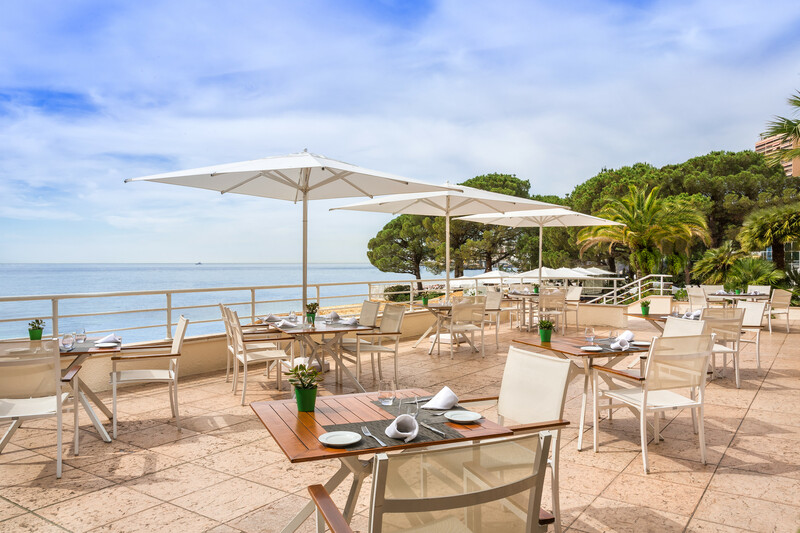 Enjoy a sumptuous lunch in the beautiful Salle Belle Époque Restaurant or choose the more casual option of the alfresco Midi Terrace. 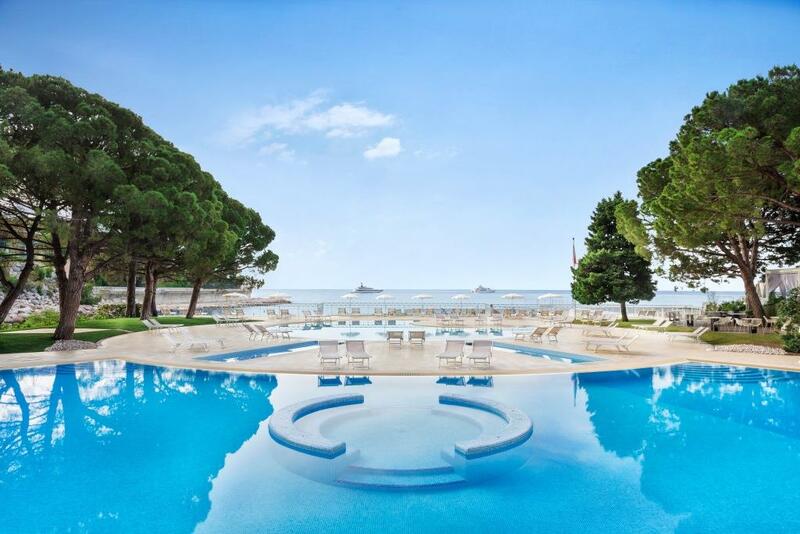 A spectacular setting with five star facilities. 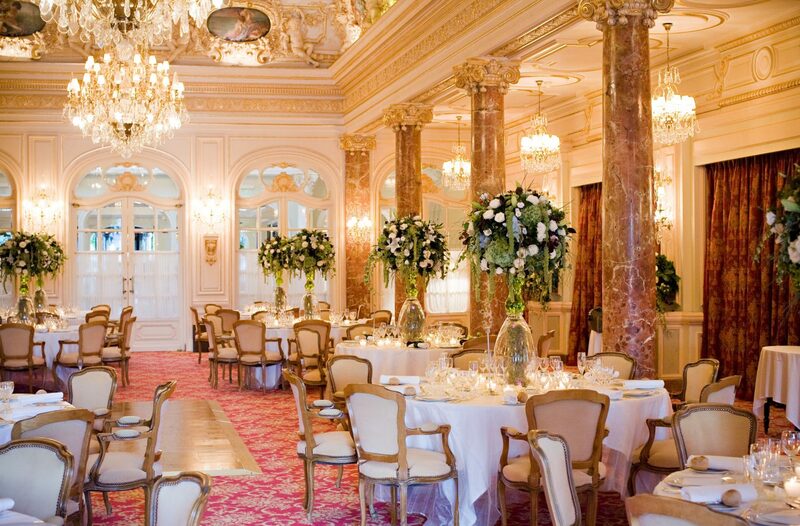 The Café de Paris is situated on the world-famous Casino Square. 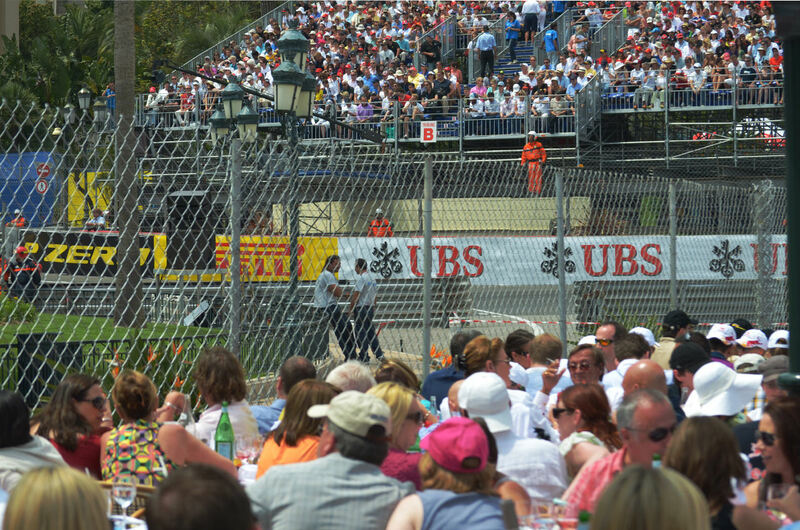 On Saturday you can watch the cars from your reserved table. 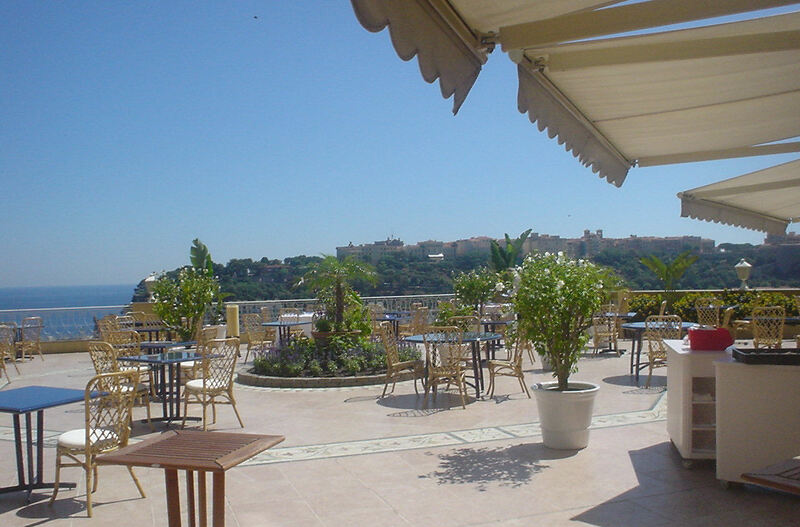 Packages are available to groups and individuals alike. 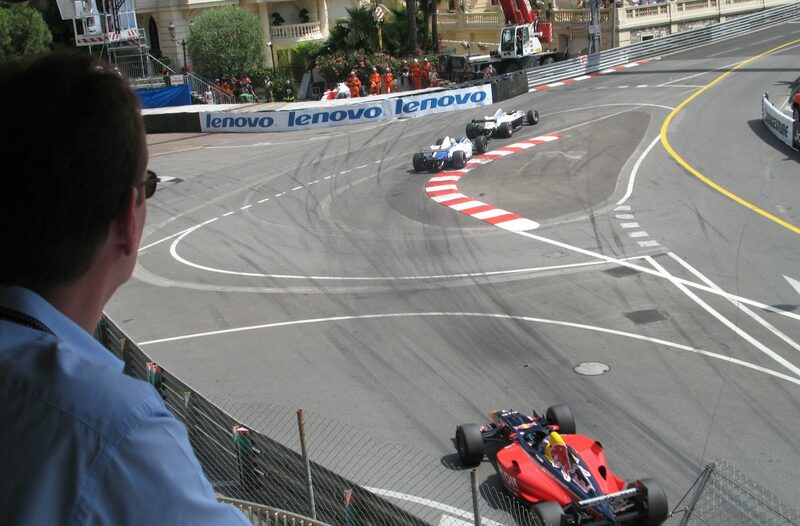 This really is a great introduction to the F1 Monaco GP. 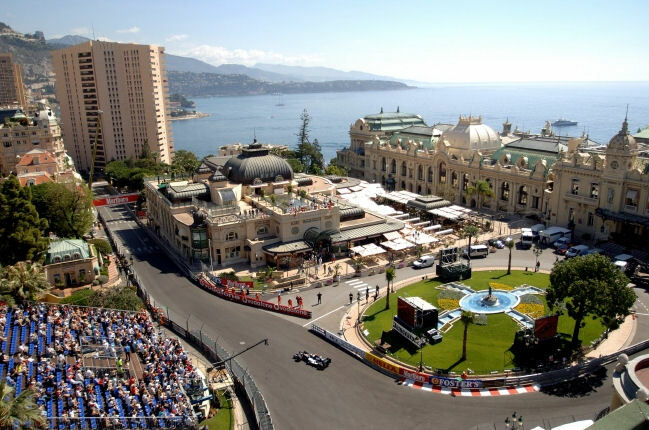 Casino Square is full of atmosphere and great fun! 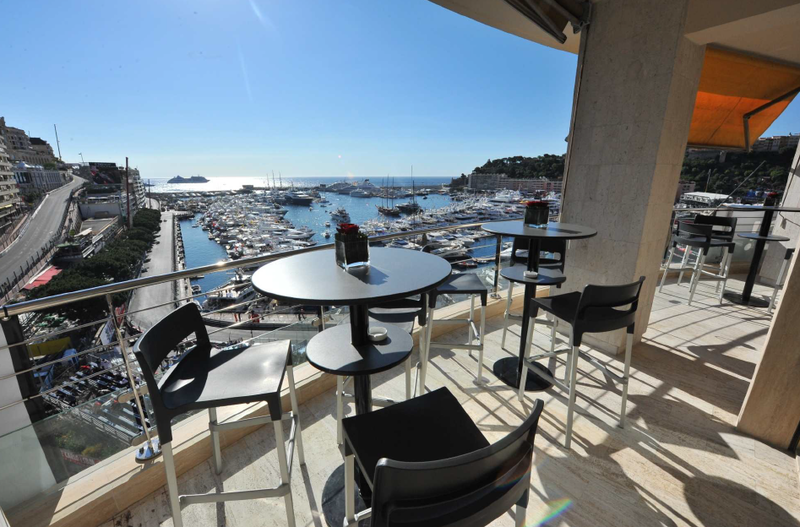 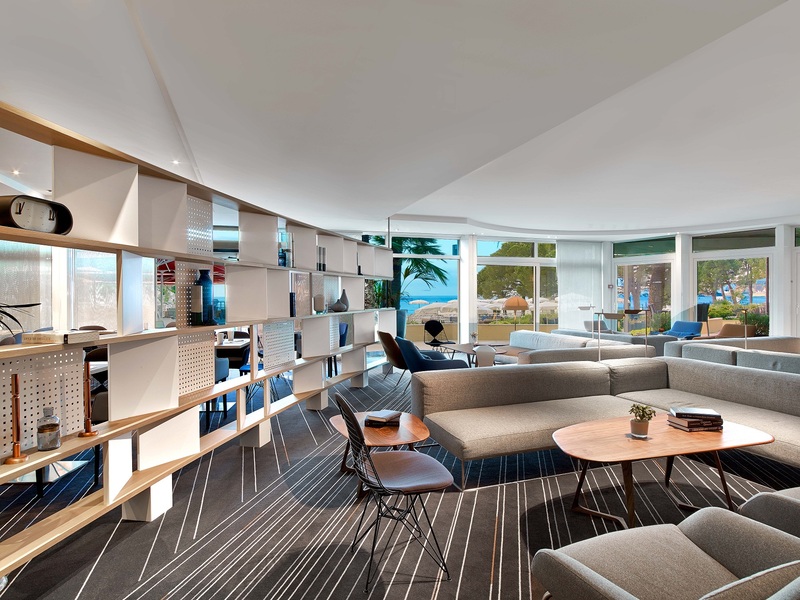 We are able to offer viewing apartments on several floors, including roof terraces, in the Caravelles, Shangri La and Ermanno Buildings! 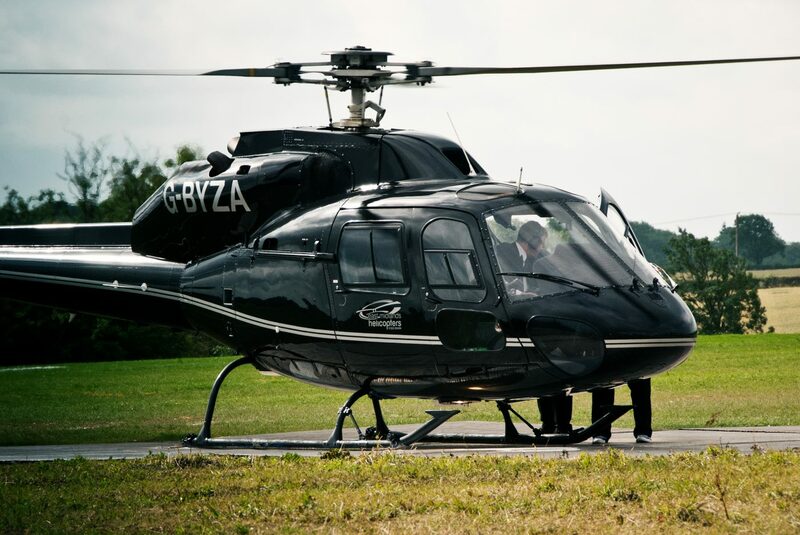 We are able to offer the very best packages to groups and individuals alike. 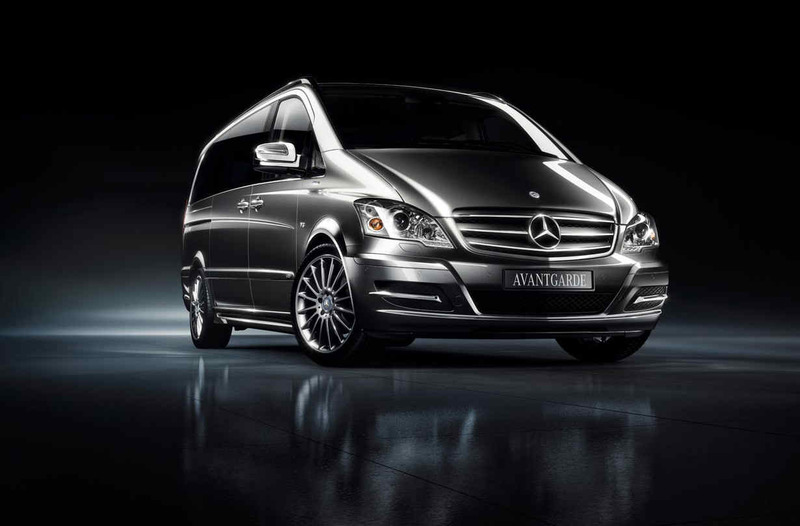 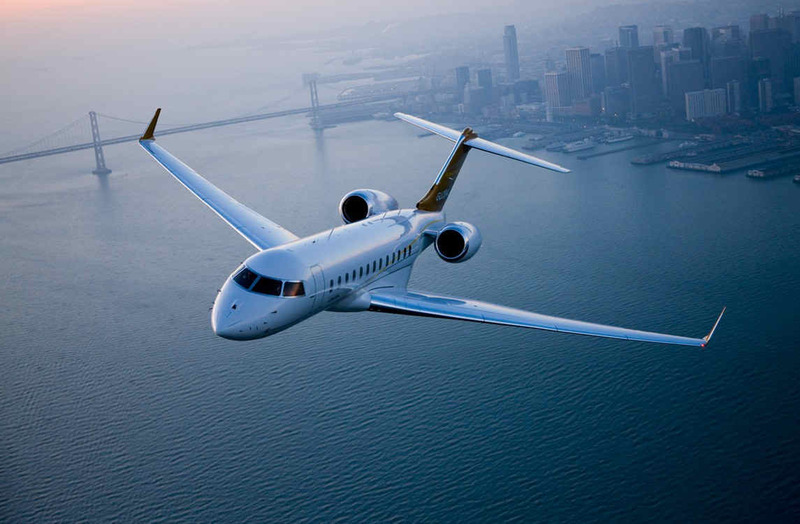 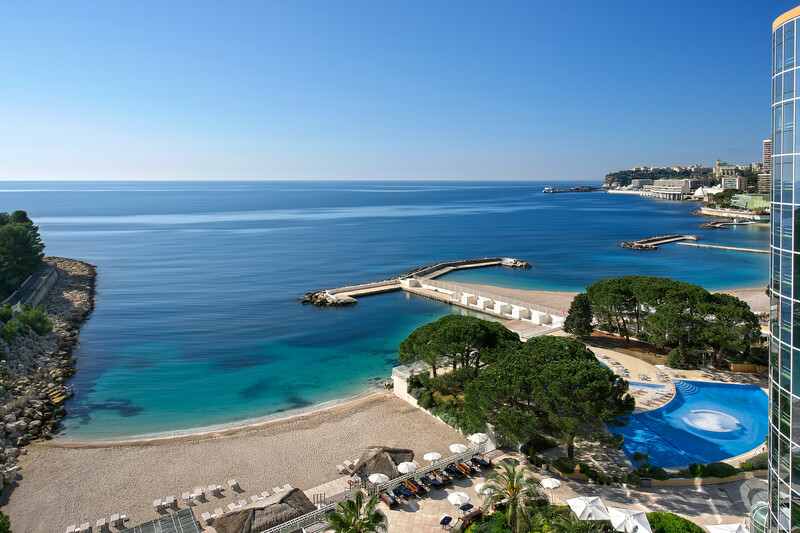 We offer and impressive range of options in both Monaco & Nice. 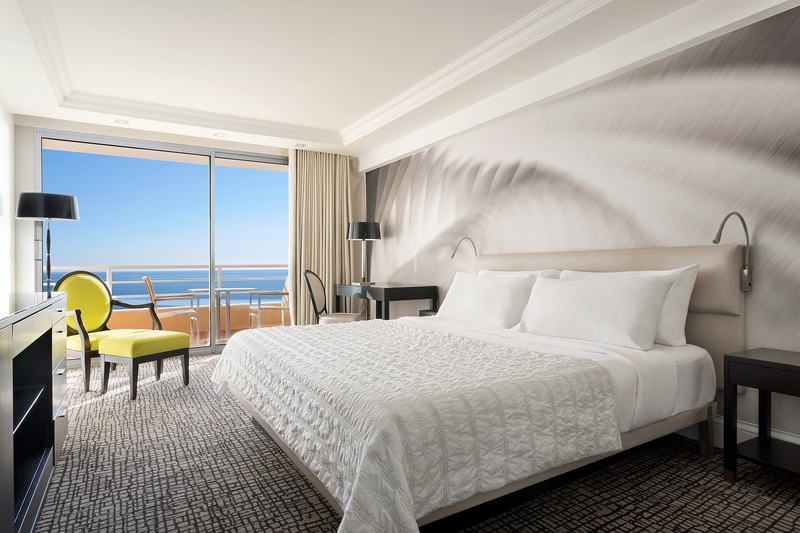 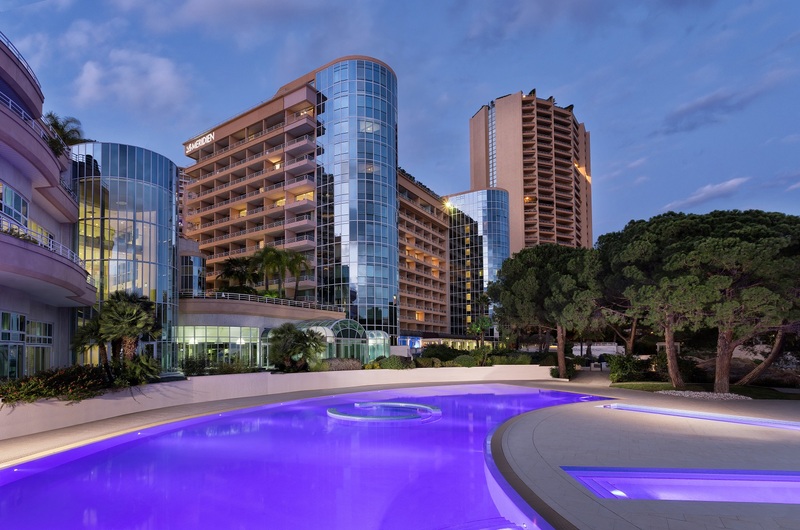 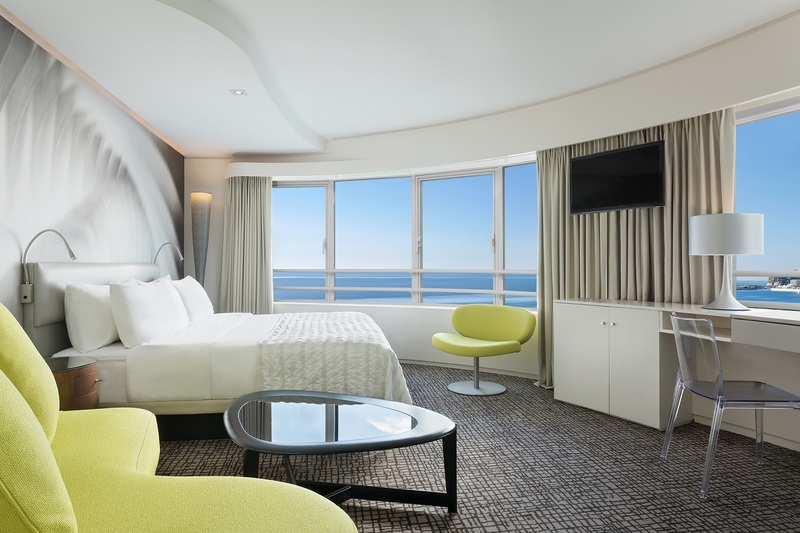 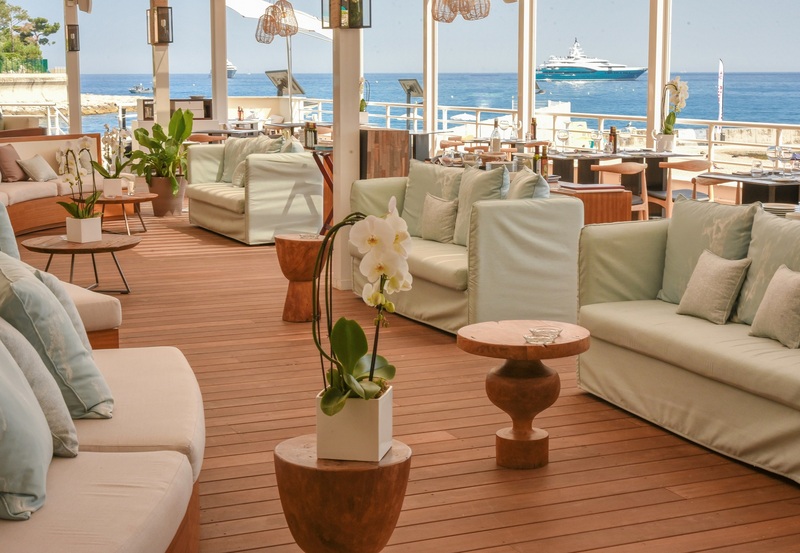 From 5 star Monaco accommodation to something more modestly priced on the promenade des anglais in Nice we will be able to arrange something that is suitable for your set of requirements.